We live in an ‘ocean of motion’. There is not anything within this beautiful Universe that doesn’t vibrate at an atomic level. 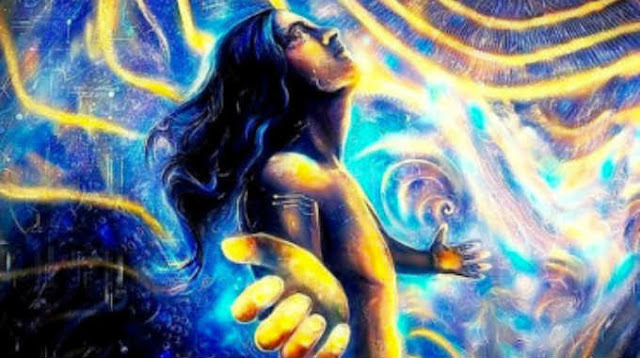 As an empath, light worker or intuitive person, you might be highly sensitive to the feelings of others and the energy around you as the ether that binds the fabric of reality is literally being constructed around us at all times. It’s exquisitely mind-boggling to ponder. The truth is that ALL of us have the power to manifest our desires, but it’s the people that cultivate a level of discernment with the energy they experience first-hand that determines what flows with ease, and what is hindered by metaphysical resistance. Here are 7 Signs That You Are Highly Intuitive and Sensitive to Energy…. You might get a bad feeling in your gut or a feeling of optimism that something will work out for the best. Either way, you “know” within your heart that an outcome will happen before you hear the news. I had a dream about the devastating tsunami in 2004 as it was happening. I was staying in London at the time and remember that I saw a vision of the world as if I was standing back looking at a toy globe. I then saw large land masses being covered in water as I was floating out in the cosmos as a witness. When I woke up I knew something was wrong, I could feel it in my bones. I turned on the TV and news was just starting to emerge that hundreds of thousands of people had died as a result of the earthquake and tsunami. #SoulNote: Not all “knowings” have to be bad news. Have you ever had a feeling that someone was pregnant? Or have you thought of an old friend and then they contact you out of the blue? Your body often feels energetic responses as a way to discern events that are in the process of unfolding. You might feel a pang in your stomach, an itchy hand, hairs standing up on your neck, butterflies etc. It’s a personal process to identify. People that are highly sensitive to energy are often easily stimulated by sensory experiences such as loud noises, food and crowded places. Anywhere that has been heavily populated by human beings will make an empath’s senses go into overdrive. #SoulNote: Always choose love over fear. As your “super-powers” grow you need to train yourself to find the blessing in all situations rather than allowing fear of feeling the various energetic fields keep you separate. More than likely you’re an expert at reading body language, the words people choose to use and the energetic patterns you can identify in others. It’s beyond judgement, it’s in a space where you see the truth and the reason why someone is presenting a less-than-harmonious vibration to the world. #SoulNote: If you “know” something about someone please keep it to yourself. Friendships/relationships could be damaged. Just because you have a super-dooper bullsheeto detector does not mean you will always be correct. The detector works on hunches and if used effectively chooses to send love to the energy of deception, wrongdoings and negativity because another human being is suffering and deserves love. The reason you have the detector is to do some deep spiritual work on yourself. The intuitive can see things with precise clarity in their mind’s eye. They can see what they would love to manifest – they see the details and are super-skilled at translating vibration into a visual format that helps them to identify the messages from the Universe they are being given. #SoulNote: Write all of your visions or metal flashes down. He was about 2 years old, spoke to me in a British accent, and had curly blonde hair like a cherub. Just five years later I was married to a man from England and at two years old my son Thomas was exactly like the child in the vision. More than likely the people you are close with in your life you feel like you have known for lifetimes. Perhaps you are part of a twin flame union or a soul mate? #SoulNote: People with very high levels of intuition are excellent at attracting the right people in their life to support their gifts and to understand and support their experiences. A highly intuitive person and someone who is sensitive to energy needs to retreat into solitude in order to recharge their soul battery. It’s an imperative part of of the process of honing your gift and using it wisely. Whether it’s spending time in nature or binge watching Orange Is The New Black on Netflix, it’s ALONE TIME to recalibrate your soul and it’s super important to do so. Being a conscious creator is so important, because when you’re actively taking charge of your reality you can master your fate. Anything can happen to you and you have all of the tools you need in your spiritual toolbox to be okay no matter what the Universe brings to you. This post was republished from sarahprout.com. You can find the original post here.